Our Camas clients wanted a total overhaul of their home’s ground-floor living. Their 1990’s house was choppy and unconsidered, with an awkward, dark entry, leading to a narrow hallway and small guest bathroom. 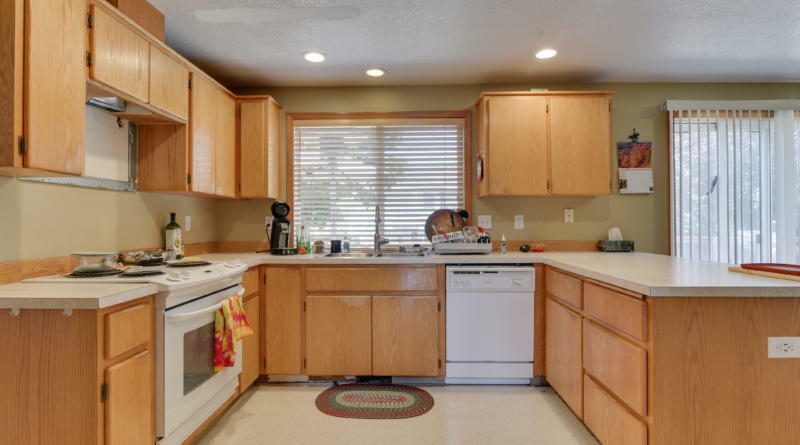 The kitchen, dining, and living areas were segmented and lacked character and connection. Avid cooks and entertainers, our client’s wanted a home for the way we live today – a place where making meals, interacting, and relaxing felt natural, human, and intuitive. We completely re-engineered the home’s main level, swapping the kitchen with the original dining room space and opening it up to what was the bathroom and entry hallway. The laundry room was moved upstairs where it would be closer to the bedrooms. 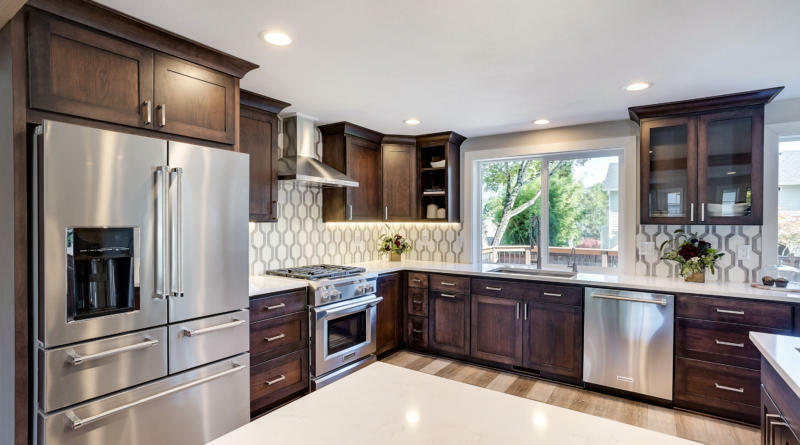 Work included the removal of a load-bearing wall, relocation of the HVAC, new electric and plumbing, installation of French doors, re-orientation of the windows, the addition of a gas range, new cabinets, carpentry finish work, flooring, countertops and tile. Stylistically, Craftsman-era design elements have been incorporated to bring depth and a sense of history and place to what was a non-descript suburban plan. Natural wood and warm colors accent finishes and flooring chosen for their beauty and durability. However, our client’s primary concern was functionality over aesthetic. Our team of designer and pro-remodeler worked with the clients to ensure every detail of applied livability was met. The very best in performance appliances and fixtures were researched, down to the hand-feel of the cabinet and drawer pulls. The kitchen was carefully engineered to accommodate both of the home’s residents actively cooking at the same time. The result is a high-performance, cohesive and welcoming space that will be enjoyed for years to come. At Bridge City Contracting, we believe that creating a unique customer experience is our number one priority. From a bright idea to a beautiful home, Bridge City Contracting is with you every step of your renovation journey. We care deeply about delivering a remodeling experience, and a final result that respects your space, your budget, and your lifestyle. We are committed to providing our clients with a collaborative design build process from concept to completion. Regardless of the size and scope of your project, we will employ our unique skill set to see your project through from beginning to end.